EURUSD remains to stay possibly in correctional phase. 1.3470-1.3460 Fibo-congestion is still relevant. Recently short position was closed to breakeven and we have to search for a new entry point. At H1 structure, local level of 38.2% is being tested. In case price pulls back from this level, it might be a signal for descending trend with further achievement of planned targets. 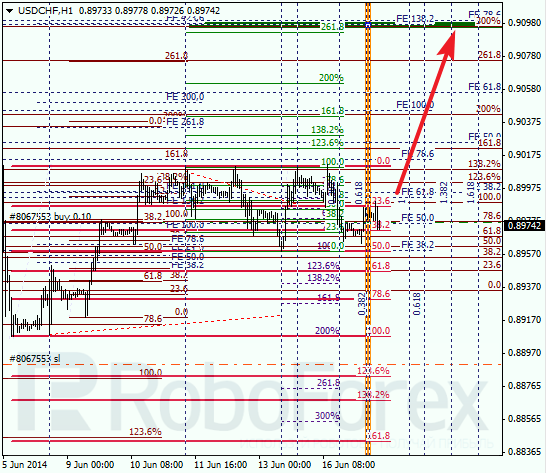 USDCHF is also stays in correctional phase according to our models. It’s not excluded that sellers will push down price up to 50% retracement level. 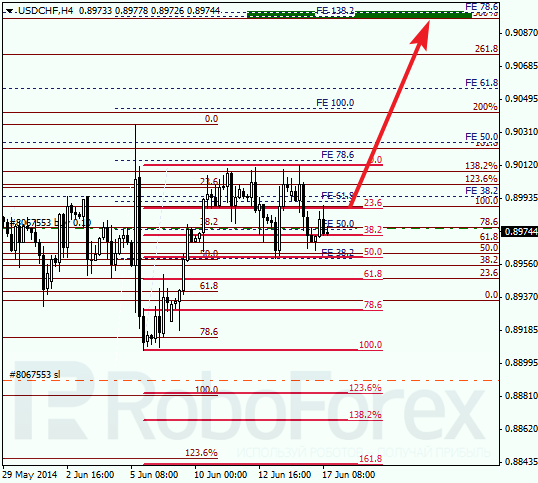 In case this level serves as a support, further growth to upper Fibo levels congestion (0.9100 – 0.9095) is possible. 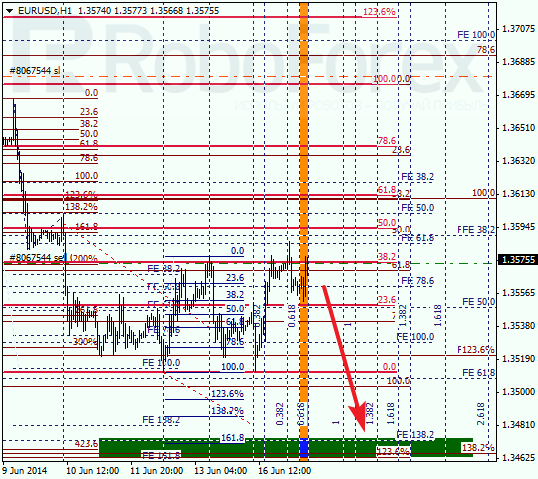 At H1 chart upper targets are confirmed by some local levels (261,8% and 423,6% extensions), it makes this area stronger. If price will move higher, I will reduce risk for current position and place stop to breakeven.